The Nature Conservancy in Iowa and Waukee APEX have partnered with the Midwest Renewable Energy Association (MREA) to coordinate a solar group buy in Waukee, IA. The advantage of a group buy is the power of volume purchasing, which can significantly reduce the up-front costs of installing solar on your home or business. 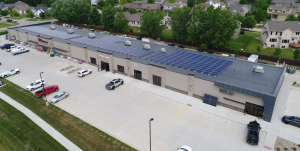 Competitive Contractor Selection: Solarize Waukee’s advisory committee is comprised of staff from the City of Waukee, Waukee APEX, the Nature Conservancy, and MREA. MREA will issue a competitive request for proposals and the advisory committee will select a single installer to help carry out the program. This gives customers get the simplicity of a single installer and the confidence that the selection was made from a number of competitive choices. The key ingredient for most participants is the pricing for the group buy. The competitive bidding process ensures Solarize Waukee achieves a price per watt lower than an individual would generally be able to get on the open market. In addition, the price comes down for everyone when certain benchmarks are surpassed. For example, once the participants of a group buy collectively reach 50 kW of capacity, everyone gets an additional reduction of the price of their array. An additional reduction of price happens again at the 100 kW mark, again at 200 kW, and a final reduction happens at 300 kW. Strong Customer Education: Community outreach and education are crucial to program success. MREA, a 501(c)3 nonprofit provides renewable energy training and education, works with local organizations to schedule and facilitate a number of one-hour Solar Power Hours around the community. 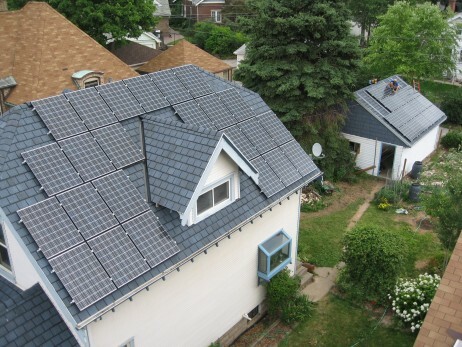 These events help interested homeowners determine whether solar is right for them. We’ll go over the basics of solar, financials, how to tell if your site is ready for solar, and how to participate in Solarize Waukee. Getting well-informed participants to the table saves the installer hours and hours of marketing and education they would otherwise have to do themselves, and in turn, saves you money. 1 Source Solar is a turnkey solar energy contractor based in Ankeny, IA that was founded in 2015 by Travis Hodapp and Todd Miller. They offer design, engineering, construction and management services to create reliable solar energy systems for every type of solar power project large to small, from utility and agriculture to commercial and residential customers. 1 Source specializes in helping their clients substantially reduce or eliminate the high cost of electricity in their operations. They are dedicated to being a premier solar company while providing value and personal service from a well-trained, knowledgeable and professional team. They have been consistently listed in the Top 500 solar companies in the US every year since inception. With a combined 24 years of experience in the solar industry, the 1 Source team has installed over 8 MW’s of solar capacity and looks to continue growing well into the future. 1 Source Solar was selected through a competitive Request for Proposals in early 2019.